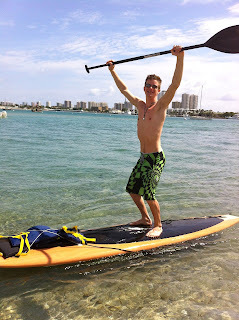 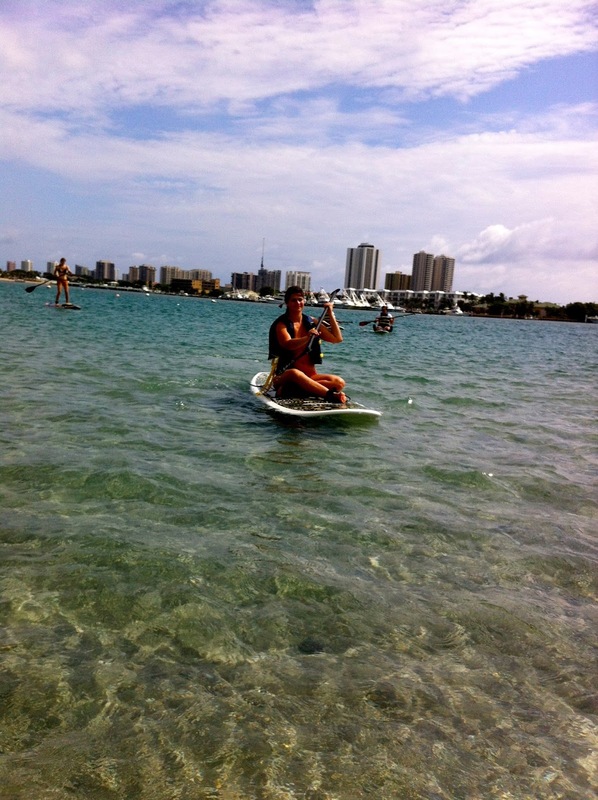 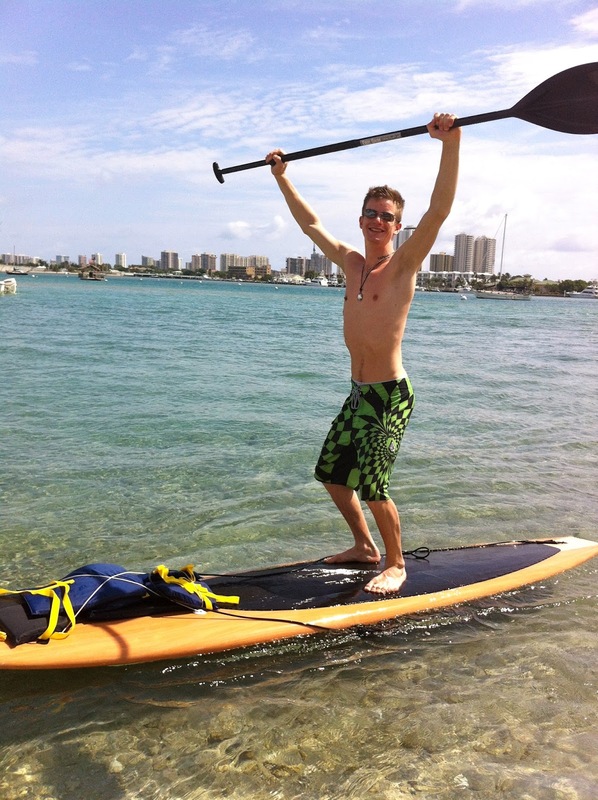 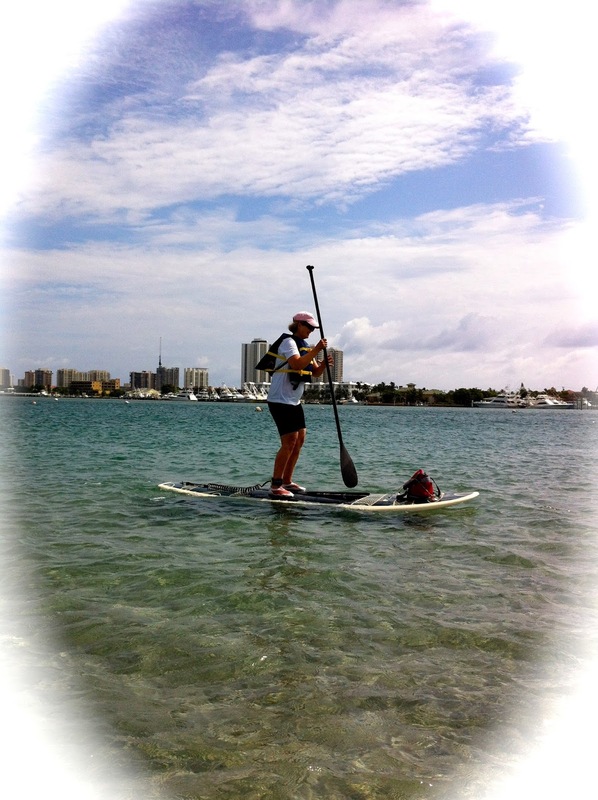 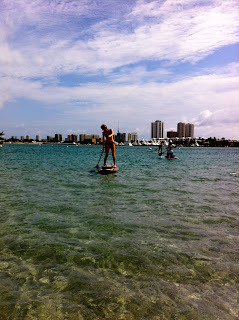 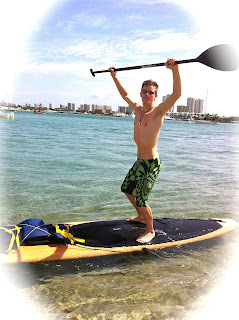 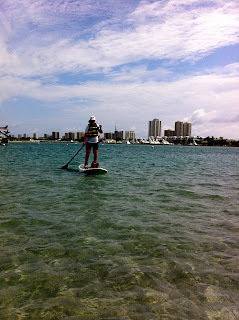 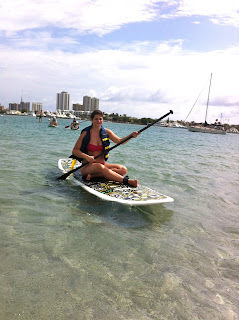 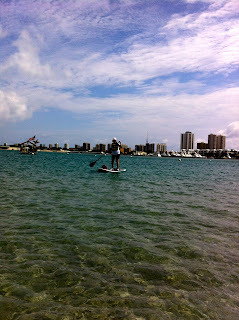 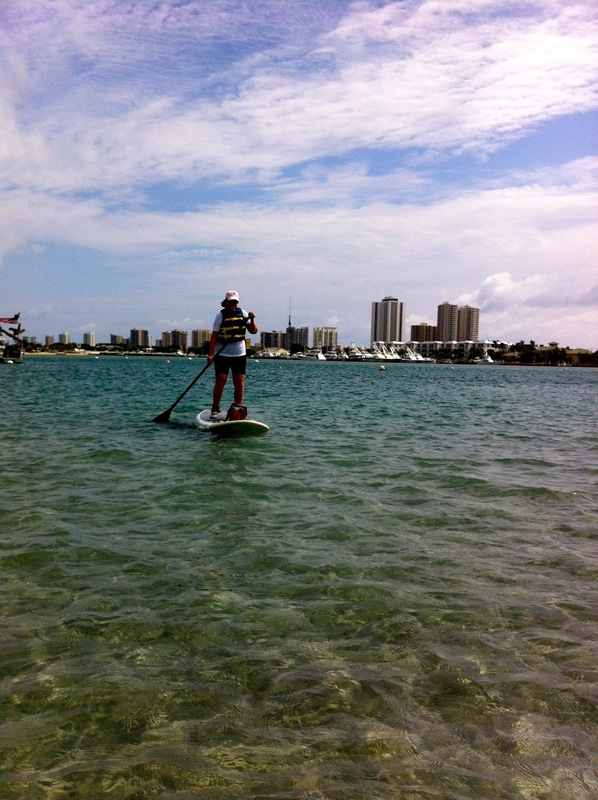 I had two different groups combine today on one Paddleboard Adventure to Peanut Island. 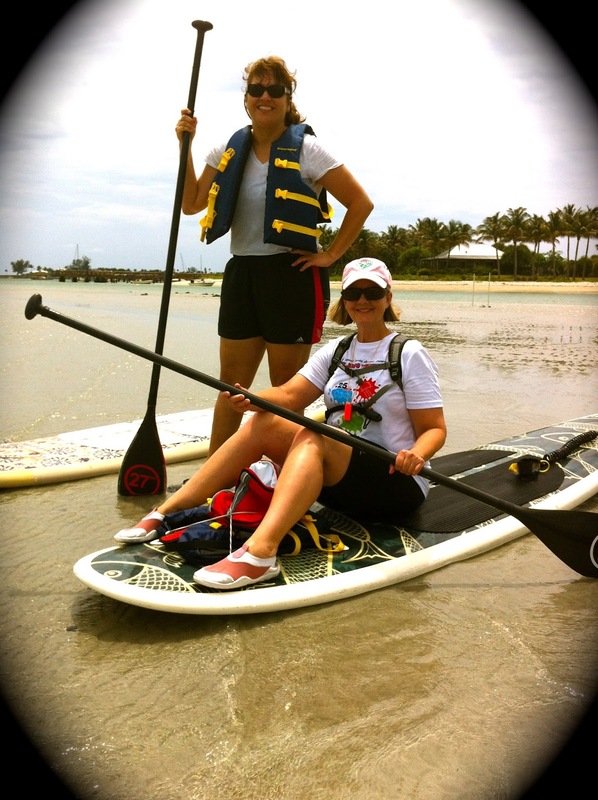 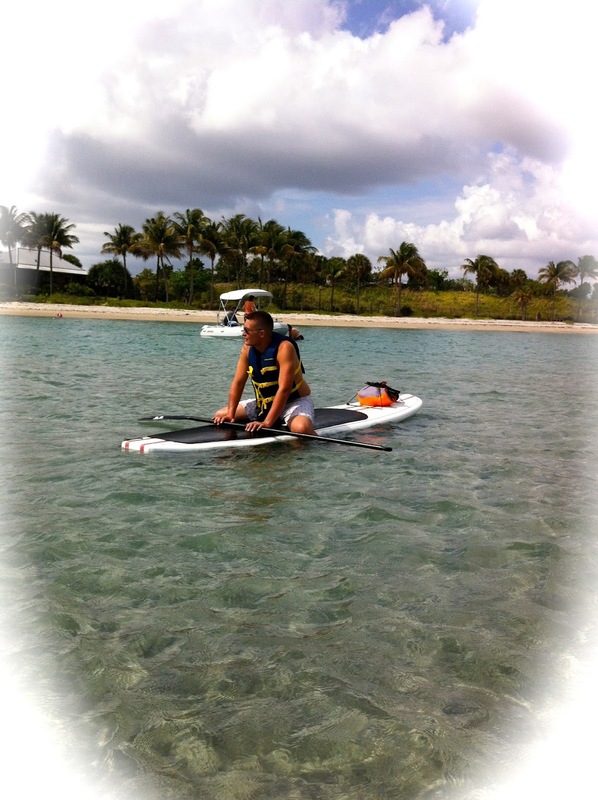 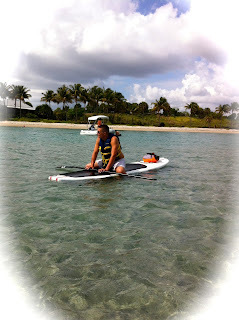 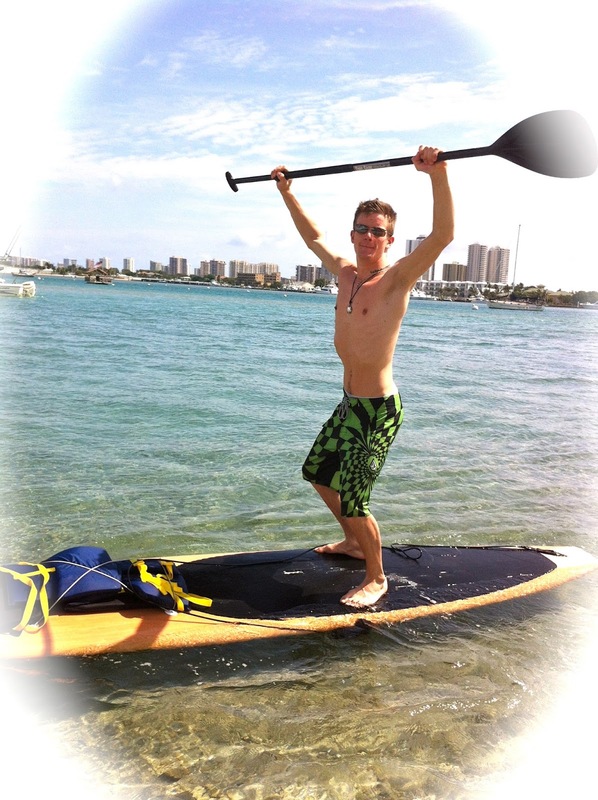 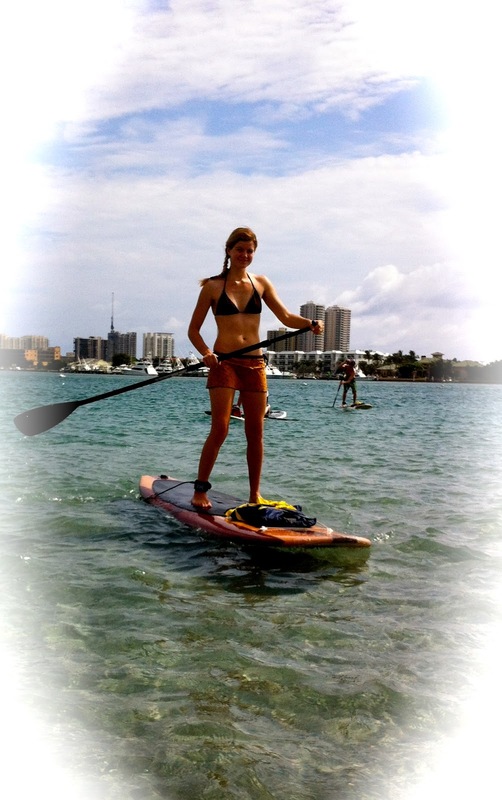 Linda and her hubby share their paddle boarding experience with her brother from Switzerland and his girlfriend. They were repeat customers and Linda really took to paddle boarding. I believe one day soon she just may have to buy herself a board! 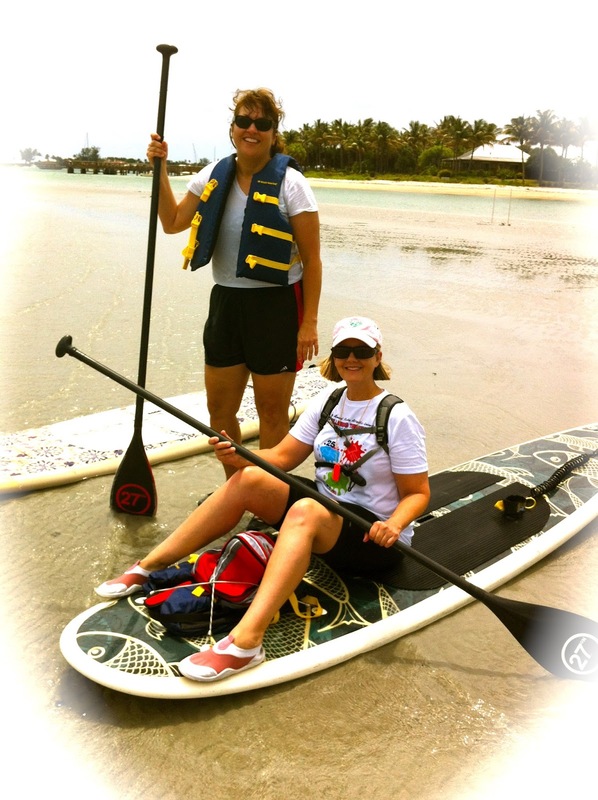 Betsy treats her longtime friend Shannon to a Birthday present of a Excursion so both of them can catch up and make some more memories. This was definitely a Fun group with different experience levels but all did well and were able to stand up on their paddleboard. 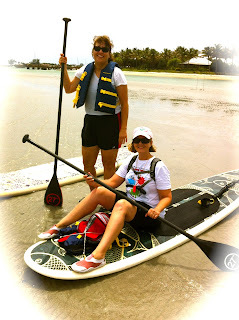 We explored the inside of the Island on paddleboard and then the two groups set out to explore the island on foot. 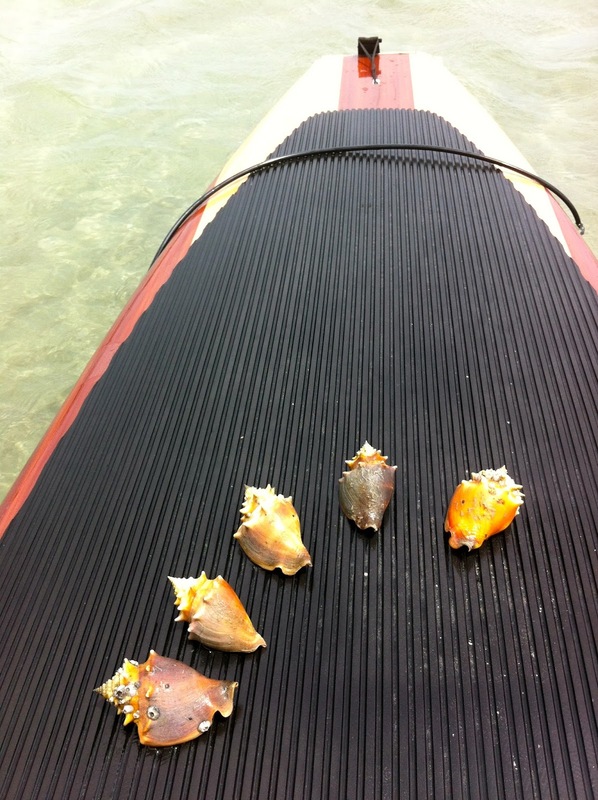 A few of them snorkeled the shallow reefs. 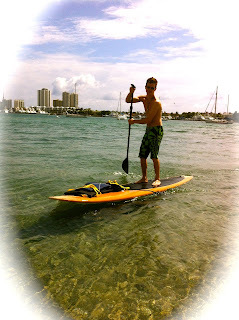 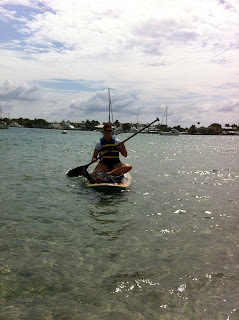 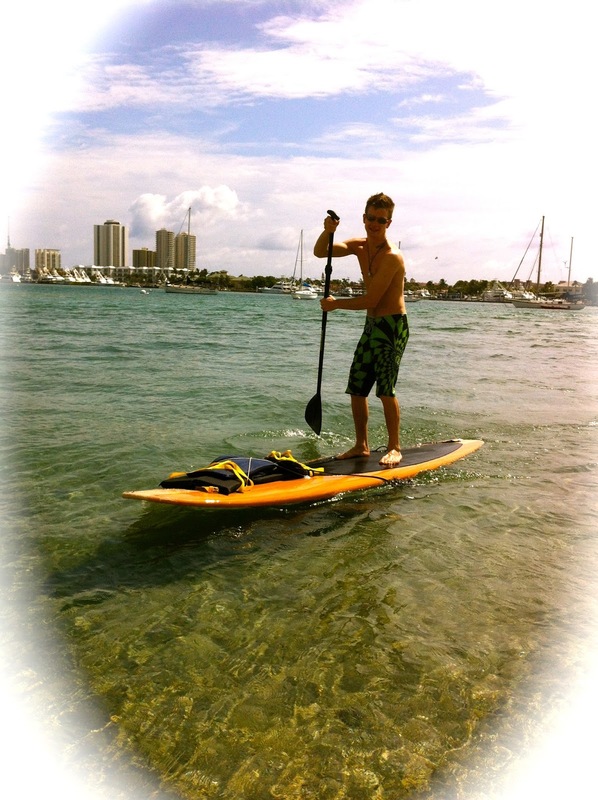 We paddled over a bed of baby conchs and spotted a blue eyed puffer fish, LOL! 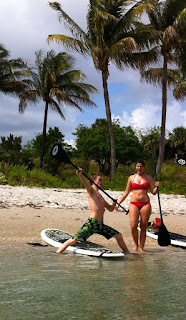 Scroll to the bottom of the pictures and see what you think of this puffer fish!